Republican U.S. 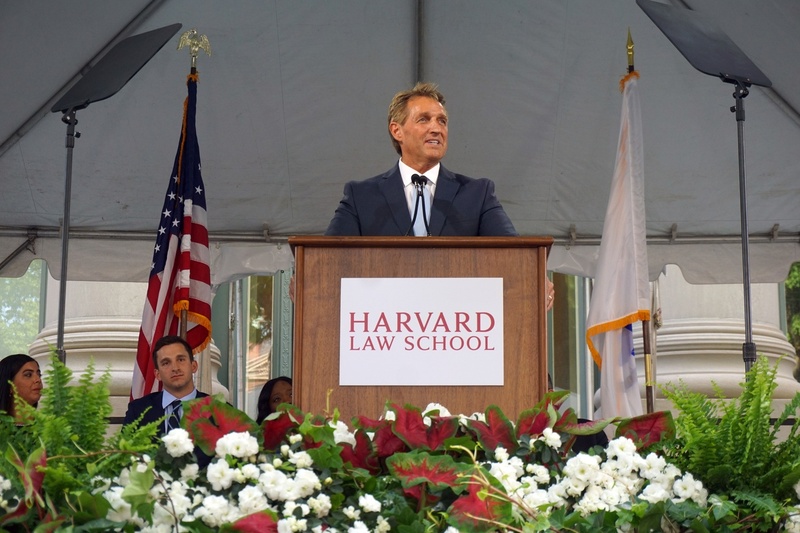 Senator Jeffry L. Flake speaks at Harvard Law School Class Day Wednesday afternoon. U.S. 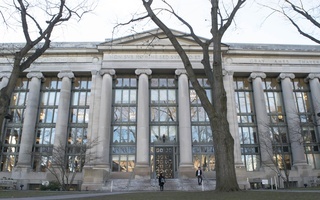 Senator Jeffry L. Flake warned soon-to-be Harvard Law School graduates that “America without the rule of law is no longer America” at the school’s Class Day ceremony Wednesday. Flake took the stage at Harvard amid speculation that he is mulling a 2020 presidential run. At an event earlier this year in New Hampshire—a key early stop for presidential hopefuls—Flake did not rule out running against President Donald Trump, whom he has repeatedly and publicly challenged. “Our presidency has been debased by a figure who seemingly has a bottomless appetite for destruction and division and only a passing familiarity with how the Constitution works,” Flake said. Flake urged the Law School Class of 2018 to choose their principles over their careers, arguing that it “will be better” for themselves and those around them. “You can go elsewhere for a job, but you cannot go elsewhere for a soul,” he added. 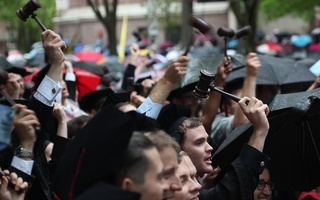 Some Law students have criticized the selection of Flake as the Class Day speaker. Emil N. Nachman, a third-year J.D. student, wrote an op-ed in the Harvard Law Record Monday expressing his disappointment with Flake’s selection as the guest speaker and pointing to the Arizona senator’s voting record. Law School Dean John F. Manning ’82 also addressed graduating students and their families at the ceremony held on a sunny afternoon in front of Langdell Library. In his first Class Day address as dean, Manning applauded members of the Class of 2018’s pro bono service and work over their three years at the school. 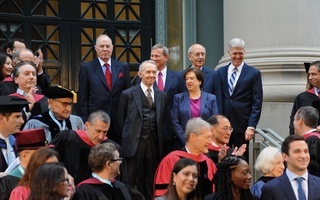 This class graduates at the end of Law School’s year-long bicentennial celebration. 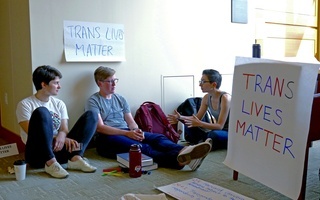 At a time when the Law School’s commitment to public service is being questioned, Manning added that the J.D. Class of 2018 performed a record 376,532 hours of pro bono service since arriving at the school, with an average of 637 hours per student. Other speakers included Law Professor Carol S. Steiker ’82 , who received a teaching award, Edgar K. Filho, an administrative and operations supervisor in the student affairs office, and Law School Association President Peter C. Krause, and Dean of Students Marcia L. Sells, who presented a collection of student awards.